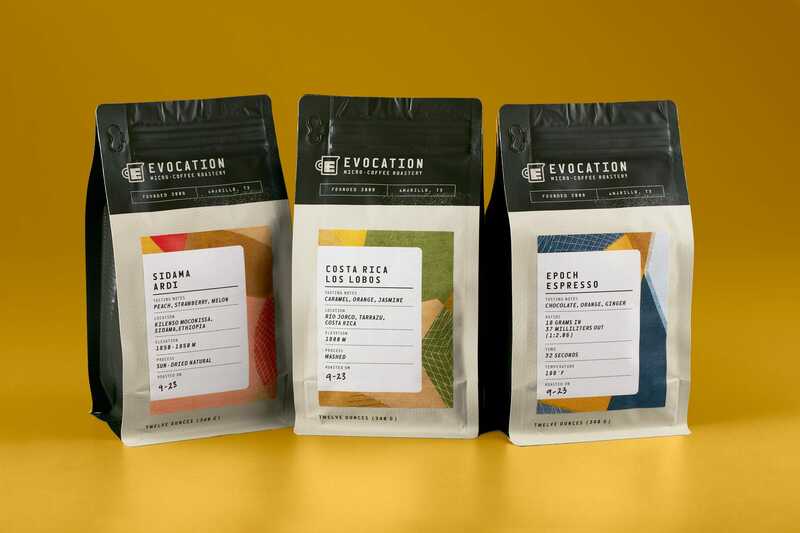 Evocation is a micro roastery and espresso bar in Amarillo, Texas. They’re a small team of obsessively focused coffee enthusiasts — which is also a perfect depiction of Caliber — so we were beyond thrilled to help give their brand a much-needed jolt of energy. The main task at hand was rethinking their packaging system. Because Evocation is constantly experimenting with new limited-release flavors, the packaging really needed to be flexible. Our solution was a kinetic set of colorful labels that they could customize and adhere to their new, sleek and understated bag. Along with a new logo and packaging, Caliber served up some fresh business cards, stationery and in-store signage to bring this brand to life.